The Dan River helped win the American Revolution. This is how we thank it? On this day, more than 200 years ago, the Dan was the finish line in a race between two armies, a race that determined the course of the War for Independence. 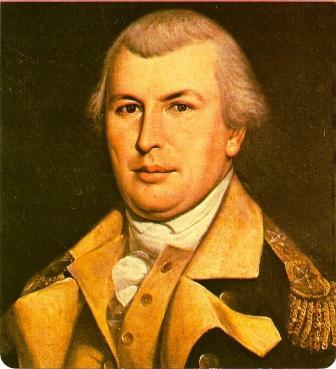 If the Southern Department of the Continental Army, led by Nathanael Greene, crossed the Dan first, they could find rest, recruits, and re-supply in Virginia, which the war had not yet ravaged as it had the Carolinas. If the British Army in the South, led by General Charles, Lord Cornwallis, caught Greene before he reached the Dan, they could force the weakened Continentals into an unwinnable all-out battle. Cornwallis could end the rebellion in the South, split the infant nation in two, and move north to corner and crush the bulk of the Continental Army under George Washington. No points for guessing who won the Race to the Dan. On February 14, 1781, the last of Greene’s army crossed the Dan, which was swollen by winter rains. The Continental rear guard disembarked on the north bank as the Redcoat vanguard arrived on the south bank, only to find that every existing boat for miles in either direction was on the far side with the Rebels. Nathanael Greene had made sure of that. 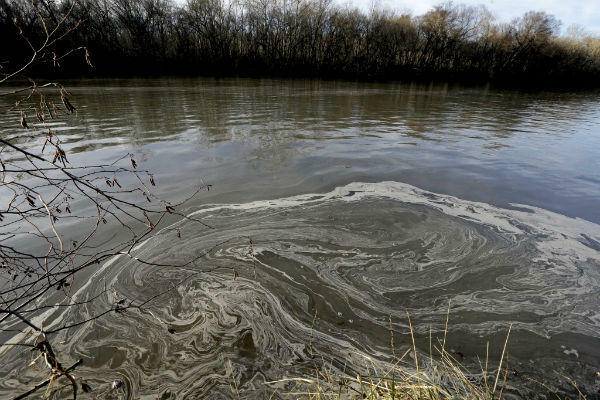 The Race to the Dan was won at Boyd’s Ferry in modern South Boston, Virginia – not far at all from where 82,000 tons of Duke Energy’s coal ash has spilled into the river. What’s most impressive about Greene’s triumph in the Race to the Dan is how he won. Greene reached the Dan first not by a single flash of genius or inspiring his troops to superhuman effort. He won by being more prepared. His army moved fast because their general was careful. Before Greene even took command of the army in the South, he did more than due diligence. As he crossed the state with his commission, he sent out scouts, studied and commissioned maps, talked to locals. He learned the conditions of the roads, the quality of the soil, the loyalties of even the smallest settlements, and – especially – the nature of North Carolina’s rivers. He learned their width, their depth, their swiftness. He learned where every ford and ferry was. 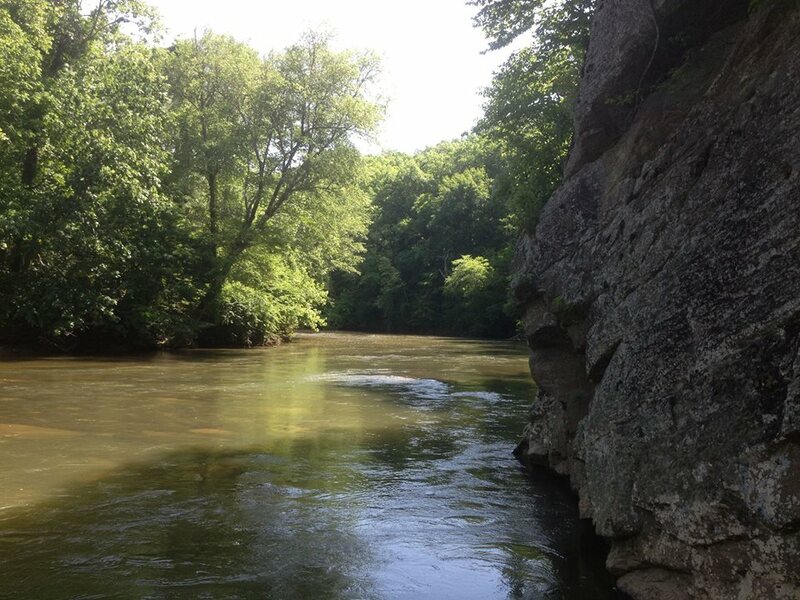 He learned so much that one of his officers later said that Greene knew each one of the rivers in the North Carolina Piedmont as well as someone who had grown up on its banks. Once the Race to the Dan began – but long before he reached any river – he sent his quartermaster ahead to round up every boat available, along both the Dan and the Yadkin, so that twice during the race, the British could only look helplessly at both their quarry and every means of reaching them. This kind of care allowed Greene to exhaust the British and stretch their supply lines past the breaking point. 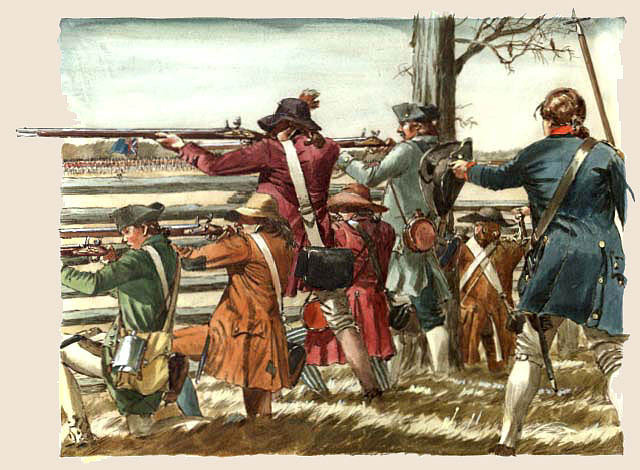 This meticulous planning gave Greene the chance to strengthen his Continentals enough to face and cripple the Redcoats at Guilford Courthouse, just weeks after they had crossed the Dan. Greene’s foresight led to Cornwallis marching his bedraggled army north along the coast, until they found themselves stuck, surrounded and surrendered in the little Virginia village of Yorktown. That kind of care, planning and foresight is also the exact opposite of what Duke Energy has shown so far. Duke Energy is the largest electric power company in the United States, with more than $100 billion in assets. According to their website, they have 27,775 employees. They claimed to monitor the Dan River site, but they did not know that the pipes underneath were made of corrugated metal, not reinforced concrete. They seem not to have anticipated what every homeowner knows: old pipes break. Apparently none of their tens of thousands of employees, or their hundreds of billions in assets, could be spared or bothered to remove the coal ash from its retired Dan River Steam Station in Eden. Not after the Environmental Protection Agency issued a warning, not after a host of environmental groups filed suit to make them do so. In place of diligence, Duke Energy gave us complacency. In place of attention, Duke gave us assumption. In place of care, Duke gave us condescension. Those who like to put on tri-cornered hats and wave their rattlesnake flags often seem to forget that the rallying cry that inspired Greene, Washington, and the soldiers they led was not “No Taxation,” but “No Taxation Without Representation.” The last two words are key. We should be less worried about governments whose leaders still are, after all, answerable to our votes, than we are about monopolies from whose power we have no reasonable recourse – other than the attentions of a careful government. We should be less worried about the vague specter labelled “government” than about a government that only pays attention to the wishes of privileged corporate interest. That was what Nathanael Greene and his Continental Army of the South fought for, why they raced Cornwallis to the very river Duke Energy has poisoned. The Patriots of the Revolution did not fight for an absence of government. They fought for the presence of a government that served, not the privileged, but the people. This may have the best opening line ever. Ed, you make history fun.